We supply direct to the public. Saving you time and money. 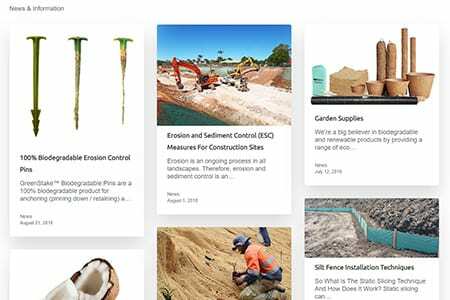 Aussie Environmental provide a range of services from product installation, hydromulching / spray grass, silt curtain, marine booms, silt fencing and expert environmental consultation. 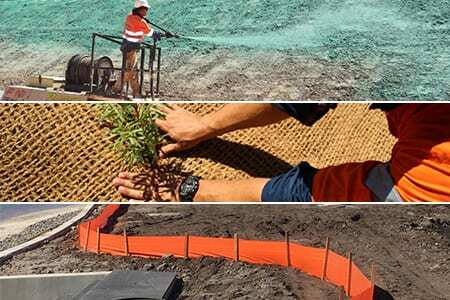 Aussie Environmental provides expert advice on all types of temporary and permanent erosion control solutions. Qualified to identify native and endemic plant species. Additionally, we can provide plant identification with optimum selection and application. 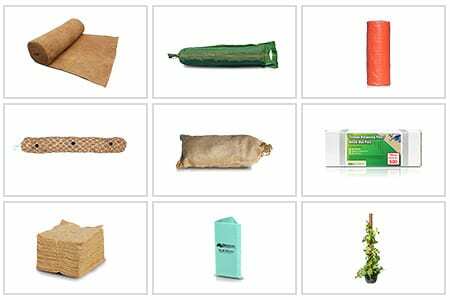 At Aussie Environmental we supply our products direct from the manufacturer, not through an authorised agent or distributor.